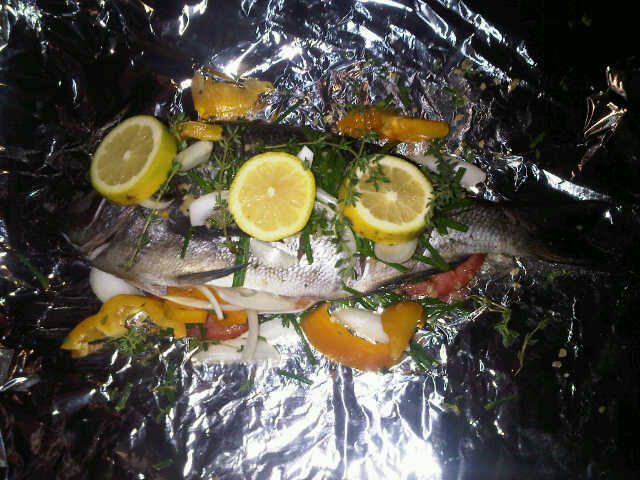 After a wonderful Sunday in the water, shooting some fish and playing with some Jellies and Pyjama sharks we went back to my place for a fish braai. John managed to steal a good sized Jutjaw from me, literally 1 second before I pulled the trigger (I was waiting for the perfect shot) he shot him. and I came home with a PB Hottie. John managed to get another one of fairly decent size too. 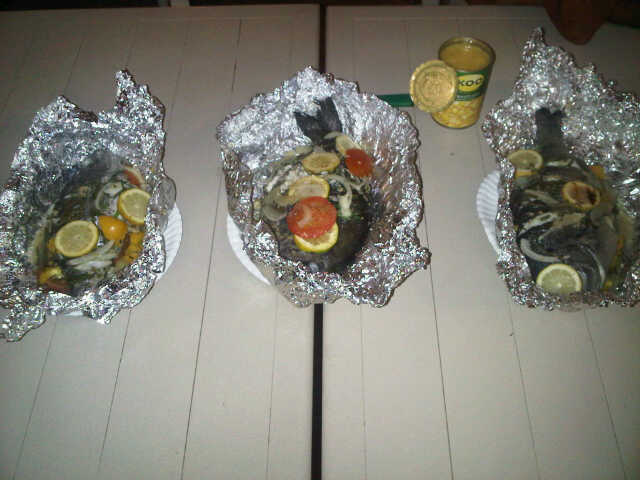 Here are the three fish we braaied, the Jutjaw being the center fish (This meal was shared between 4 of us, well with Reech pulling in a little later), there was so much that we couldn’t move well after the meal.